Raymond Murphy’s English Grammar in Use is the first choice for intermediate (B1-B2) learners and covers all the grammar you will need at this level. This book without answers has clear explanations and practice exercises that have helped millions of people around the world improve their English. It is perfect for teachers to use in the classroom as a supplementary book, for extension work, or for homework activities. This book and audio compact disc program instructs students of English as a second language in the elements of grammar, presenting a grammar review that emphasizes speech and correct pronunciation. The compact discs include spoken dictations for each of the book’s ten chapters. Students start by writing out what they hear, and then comparing what they have written with the book’s printed version. In the process, they begin learning the elements of grammar, staring with the simple present tense of the verb “to be” and progressing to all other tenses and parts of speech. Students gradually learn how to use English words and pronounce them properly in grammatically correct sentences. Following each chapter’s introductory sentence, they are given a brief story. A short test at the end of each chapter helps them determine their learning progress. The dictations start out quite simple and become progressively more difficult from one chapter to the next. The book is filled with charts and illustrations to facilitate students’ learning progress. – This is one of the most innovative ESL courses I have found. The combining of learning grammar and pronunciation along with tests makes it the perfect companion for what I do. My students love it: both those in the private sector and the corporate. It is stimulating and fast-paced while clear and easily understood. The accents in the program as easy for my students to understand. The dictations are great for those studying for TOEFL as well. All in all an excellent purchase I would recommend highly. The building blocks of language are a creative innovation as well as easy to learn and retain. – English is my second language. I like Ann cook because of her ” American Accent Training book” My pronunciation is a lot better than I used to because of her book. This Grammar book don’t make me get disappointment. I have a lot of Grammar books but I haven’t felt impress as this one. This book is different from every books that I have. It shows me that Grammar doesn’t hard or bore like I thought. There is the verb map in side, that shows the structure of each tense. Each chapter has pronunciation along with Grammar. That is excellent!!. I learn this book the same way as I did with my own language. I really LOVE LOVE… this book. If you’re looking for English book to proof your skill, this book is good for you!! as it does for me. 60 time-saving grammar cheat sheets you’ll be using every day. Tired of wincing every time you have to teach grammar? Bored of having to teach things like the Past Simple and Present Perfect again and again? This e-book will give you fresh ideas you can start using today, including 60 time-saving grammar cheat sheets you’ll be dying to use! This is the smartest way we know to teach grammar. You’ll be prepared, we promise! These compact cheat sheets are filled with plenty of example activities that will help you get ready for your next grammar lesson in the blink of an eye! They cover everything from teaching the verb ‘TO BE’ to teaching the difference between gerund and infinitive. Don’t waste another moment – we know you want it! Grab your copy today, be proud of your grammar lessons tomorrow! Taiwanese Grammar: A Concise Reference is an unprecedented guide delivering clear, straightforward explanations of Taiwanese grammar while offering insightful comparisons to Mandarin Chinese. Designed to be both functional and accessible, the text makes searching for topics quick and easy with fully cross-referenced entries and a comprehensive index. Topics covered range broadly from parts of speech (nouns, verbs, adverbs, etc.) to grammatical topics (aspect, negation, passive voice, etc.) to special topics (terms of address, pronunciation, time, etc.). This text is ideal for self-study and enables students at all levels to build a solid foundation in grammar. Taiwanese (also known as Hokkien, Fookien, Amoy, Southern Min, or Fukienese) along with its variants is spoken by over 40 million people worldwide and is a member of the Chinese language family. The Blue Book of Grammar and Punctuation is a concise, entertaining workbook and guide to English grammar, punctuation, and usage. 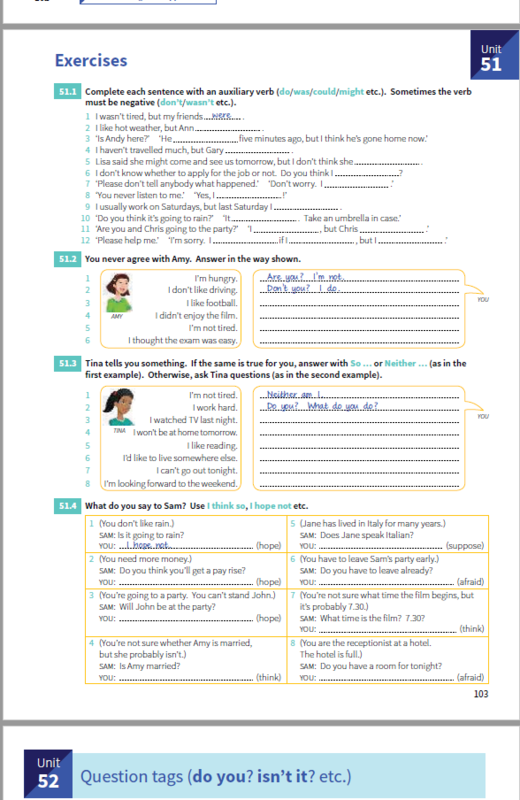 This user-friendly resource includes simple explanations of grammar, punctuation, and usage; scores of helpful examples; dozens of reproducible worksheets; and pre- and post-tests to help teach grammar to students of all ages. Appropriate for virtually any age range, this authoritative guide makes learning English grammar and usage simple and fun. This updated Eleventh Edition reflects the latest updates to English usage and grammar and features a fully revised two-color design and lay-flat binding for easy photocopying. For anyone who wants to understand the major rules and subtle guidelines of English grammar and usage, The Blue Book of Grammar and Punctuation offers comprehensive, straightforward instruction.